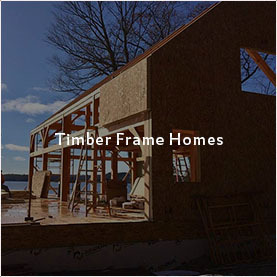 Now that Spring is finally here, we thought we would share some of our favorite Spring and Summer timber frame home photos! Here in New England, we love the Winter months, but when glimpses of Spring weather peek through, we are all over it after months of cold weather. With it also staying lighter out later, our moods begin to shift with the extra vitamin D we are receiving. Now, I know it’s still brown out there and the grass needs to get greener, and flowers need to bloom, but we are getting close! To help get us in the spirit of the warm weather to come, we thought we would share a few pictures of timber frame homes we’ve worked on over the years that make us feel hopeful that warmer days are really ahead! 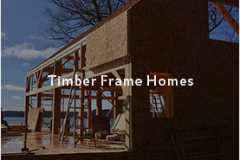 From lush perennial gardens to a wall of windows allowing lots of light in, we have some great photos to share showing how amazing timber frame living truly is in the Spring and Summer months! 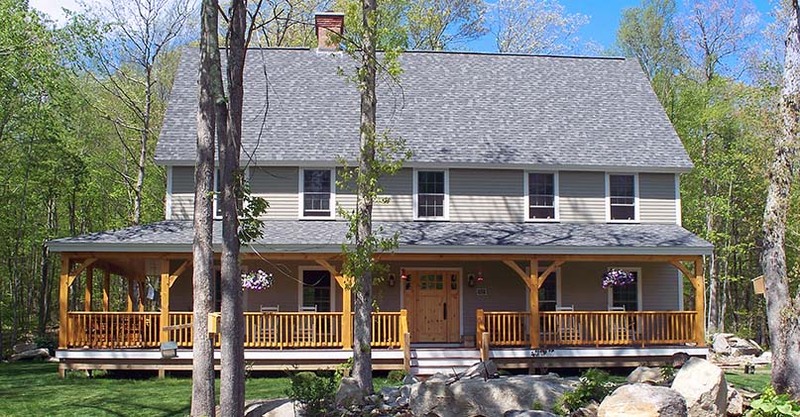 This gorgeous classic style farmhouse is built using Eastern White Pine timbers, giving it a very traditional farmhouse feel. 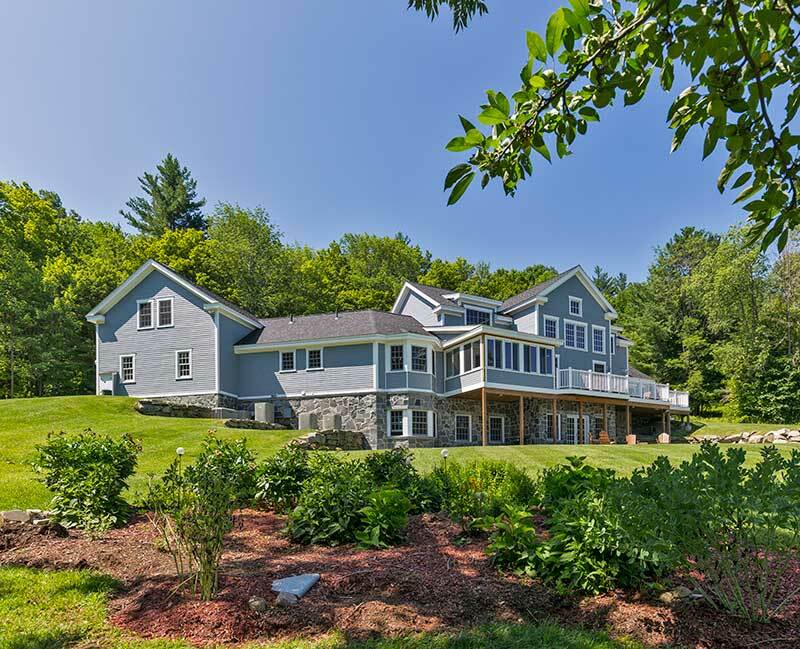 What has attracted clients to this home is the timeless wraparound porch that is featured. With flowers hanging and the rocking chairs out on the porch, this screams enjoyment for the homeowners. This is a favorite photo among many of us here at Davis Frame. 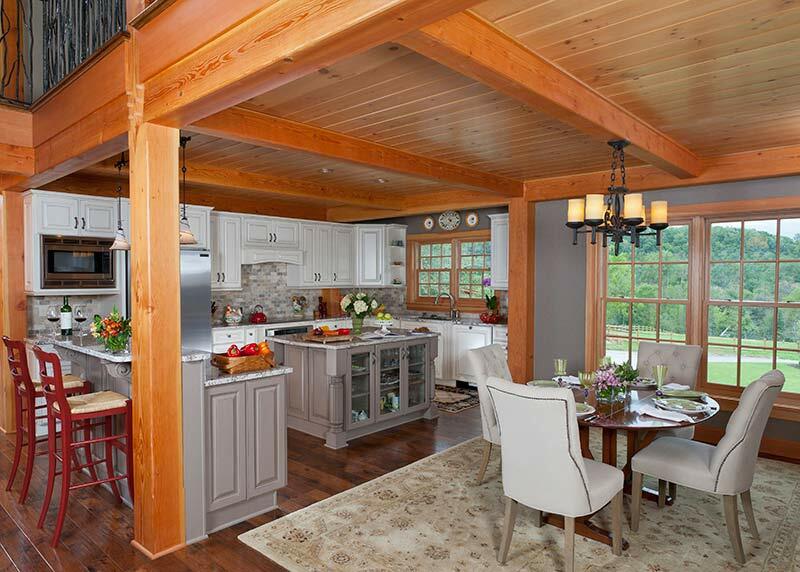 This timber frame open concept space includes the great room, dining and living into one large area. It’s a great space for entertaining and is bright! The natural wood and the white woodwork compliment each other nicely. This kitchen and dining area is a dream with its light and airy ambiance, and, it features a picturesque view of the green pasture nearby, perfect for the family’s horses. For some reason, this Pennsylvania timber frame home reminds me of warm weather and the beauty that comes with living in the countryside. 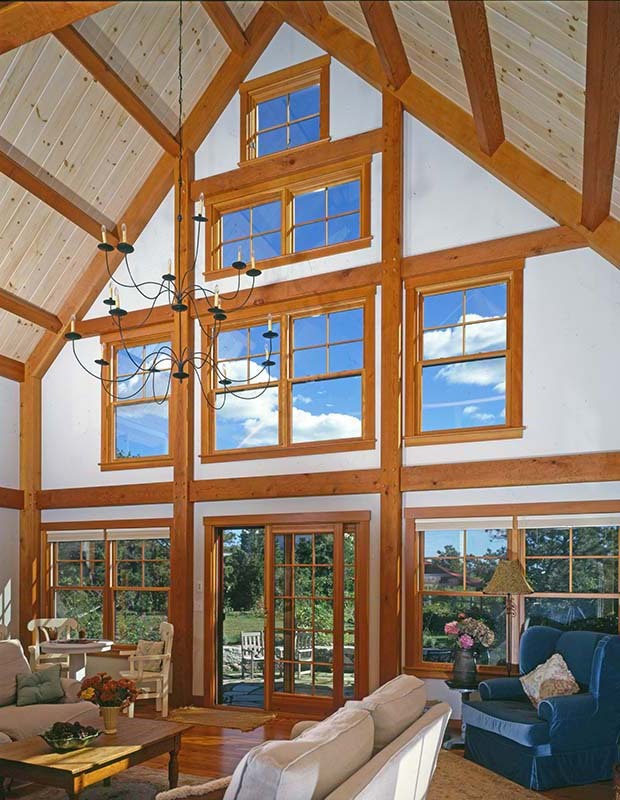 This gorgeous timber frame great room features a spectacular wall of windows, allowing lots of natural light in as well as a view of the landscape outside. 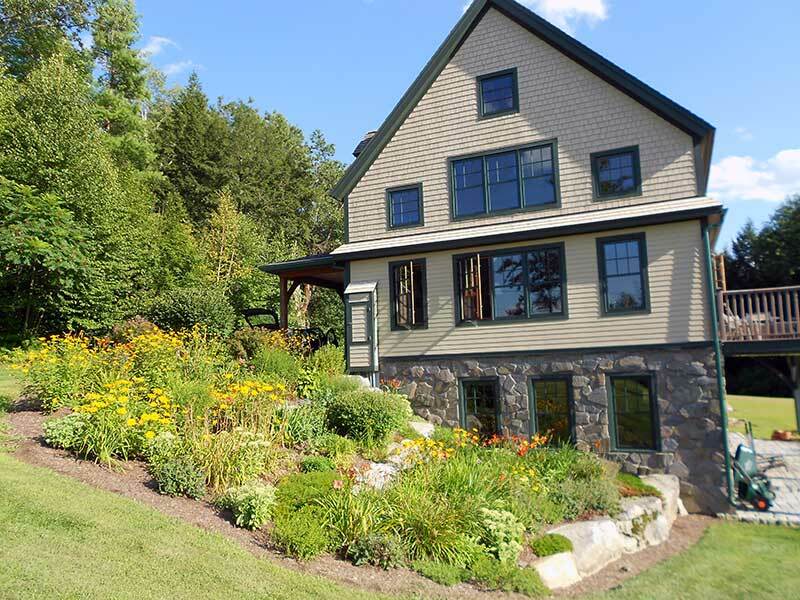 A gorgeous perennial garden is a highlighted feature of this beautiful timber frame home in New Hampshire. 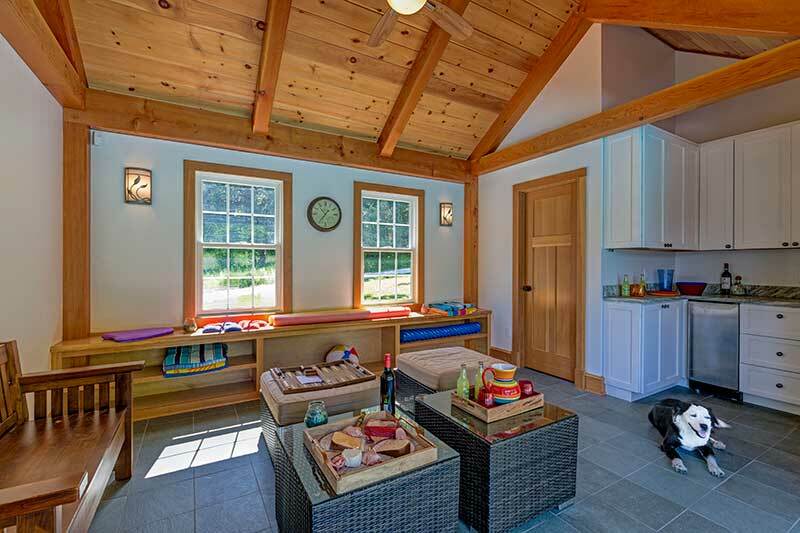 This timber frame pool house is an addition to the gorgeous timber frame home we worked on in Vermont. The pool house offers a wide open space with a wet bar, seating to get away from the sun and a bathroom. 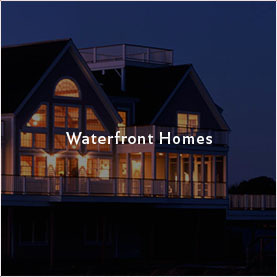 What a perfect place to entertain guests during the summer months! 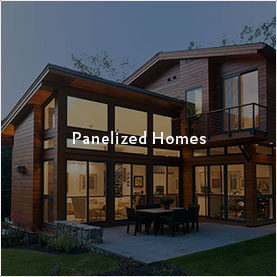 Double French doors lead you out to the deck where you will enjoy a beautiful view of the lake. 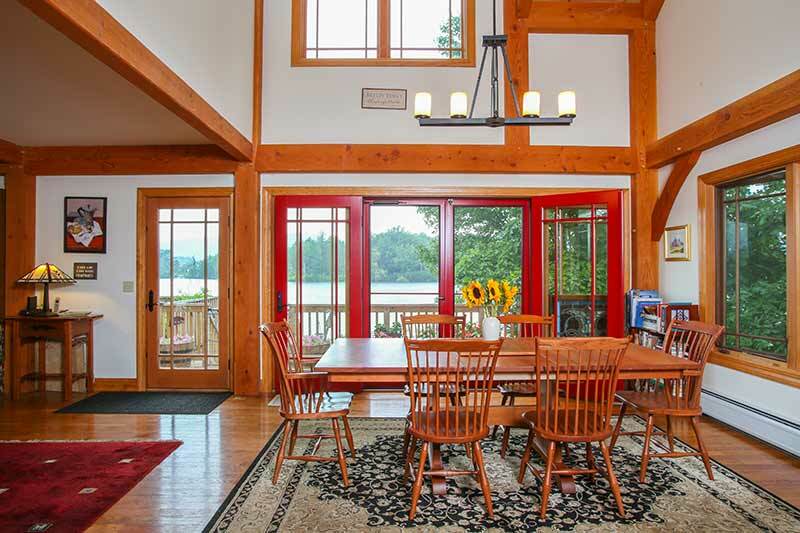 The doors also open wide, so the nice warm air can filter through while dining inside this craftsman timber frame home. 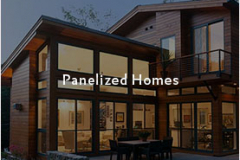 Our client’s built a brand new panelized lakefront home using our prefab wall and roof system. To add a pop, they also incorporated this octagon sunroom which boasts a panoramic view of the lake. What a perfect space to enjoy breakfast or lunch with the family! If you live on a lake, you know how important it is to think about the outdoor space, it’s almost as important as designing the inside. 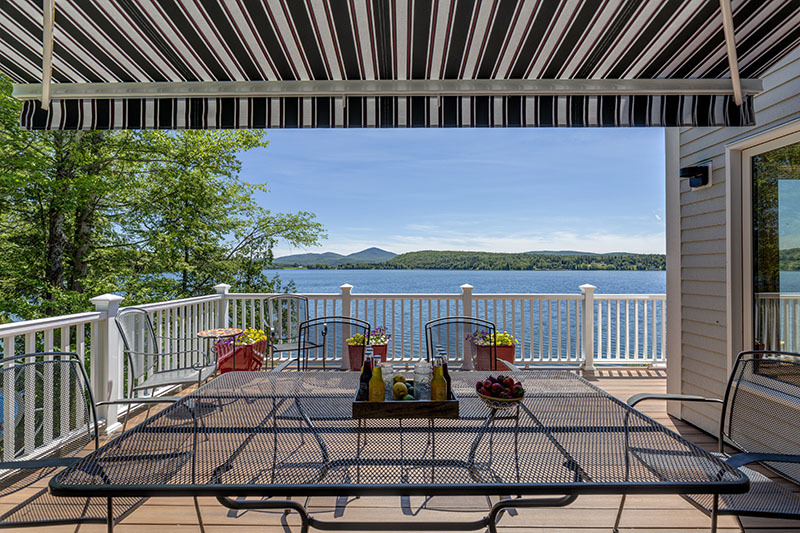 This hybrid timber frame home we worked on in the Northeast Kingdom of Vermont features a spectacular deck with an awning so that the homeowners can enjoy the beauty of a lake in a cool space outdoors. We hope you enjoyed seeing some of our warm weather photo finds! 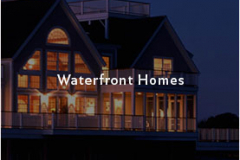 Please explore our website for more photos and ideas as you plan your new home. Have questions? Call us at 800.636.0993!